Simply press a button and the Carex® Uplift Walker folds down to compact size, so you can take it with you anywhere. 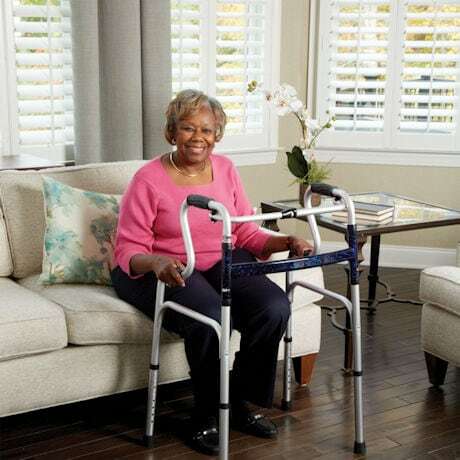 No more struggling to maneuver your old walker into the car or on the bus! 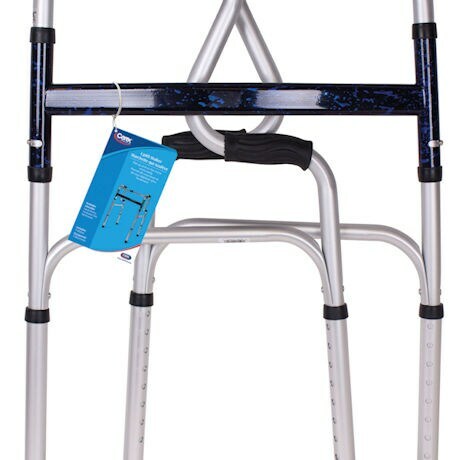 The Carex® Uplift Walker assists standing and walking, while legs adjust height between 30"-37" to your optimal size. Available in silver. 20" x 30"-37" x 19½".